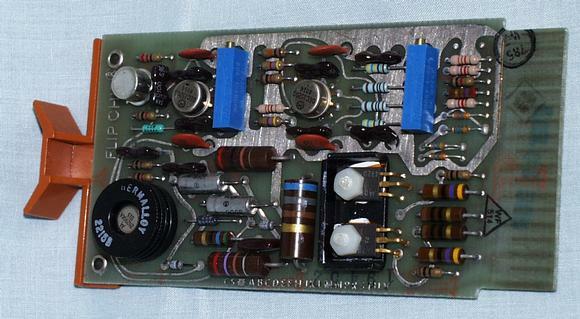 This is the amplifier board for the X or Y deflection signals. Two of these board are used. It controlled the power transistors on the heat sink ( 35K) which drove the deflection coils on the CRT.